Football is a game that is famous for its fan-following and when the word 'fan' is involved, rivalries are born. Rivalries are necessary for the love and hate received by a club. Incidents take place both on and off the pitch. Players give their everything to win. Rivalries exist in football since ages, may it be the 'Superclasico' between River Plate and Boca Juniors or 'el Clasico' between Real Madrid and Barcelona. One of the fiercest rivalries in football is of Manchester United and Liverpool, known as 'The Red Rivalry' and 'North West Derby'. A rivalry between two of the English football universe's brightest stars, separated by just 30 miles. A rivalry between ideologies, economics, cultures and almost everything that divides the two cities. This is such an intense rivalry that players and managers get goosebumps just by mentioning it. A rivalry that creates and destroys careers. It's more than a rivalry. This is Liverpool versus Manchester United, where history is written by day, only to be overshadowed by night. Some of the incidents why 'The Red Rivalry' is the biggest rivalry in the world. 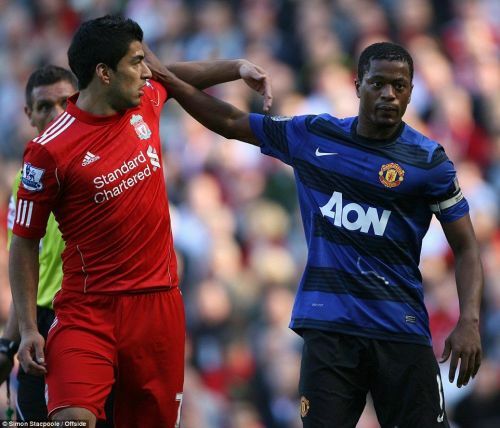 In the 2011-12 season, the rivalry was exacerbated by claims that Liverpool striker Luis Suarez racially abused United's Patrice Evra during the match at Anfield. Suarez was banned for eight games by FA panel. This included the fourth-round tie between the two clubs in the FA Cup (again at Anfield), won by Liverpool. However, on 11 Feb 2012, United and Liverpool met again at Old Trafford, and for the first time since his ban, Suarez played for Liverpool. Before the kick-off, the two teams were expected to shake hands, but the Uruguayan ignored the hand offered by Evra and moved to the next player in the line. 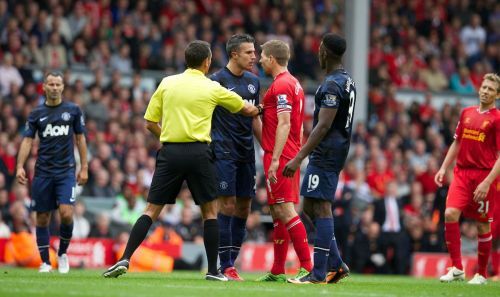 As a result, Rio Ferdinand and Danny Welbeck rejected the handshake of Suarez. United went on to win 2-1 and Evra celebrated with Suarez close by in front of the home supporters. Sir Alex Ferguson declared Suarez a "disgrace" and suggested he should not play again for Liverpool.